For a closer look, you can download a pdf file here. PUBLIC schools were to the American colonial regime what Baroque churches were to the Spanish period. In their time, both were the most imposing structures in all our provinces, cities and towns. As Spain used religion to colonize and Hispanize, the United States of America established the public education system for "pacification" and Americanization. 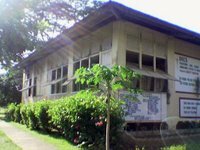 Lamentably for heritage conservation, most of the school houses built during the Spanish colonial period were reduced to rubble during the Philippine-American War (1899-1911) and when the Philippine Commission sent the American Secretary of War a telegram about the "pacification" strategy, Eng. Edgar K. Bourne was instructed to go to Manila. Daniel Burnham, famous city planner, and other American architects soon followed. Acting rapidly, the Philippine Commission passed Act No. 268 creating the Bureau of Architecture and Construction of Public Buildings, with Mr. Bourne as its head. The construction of schoolhouses in Manila and the provinces began and this activity was viewed as the most important work of the Bureau. 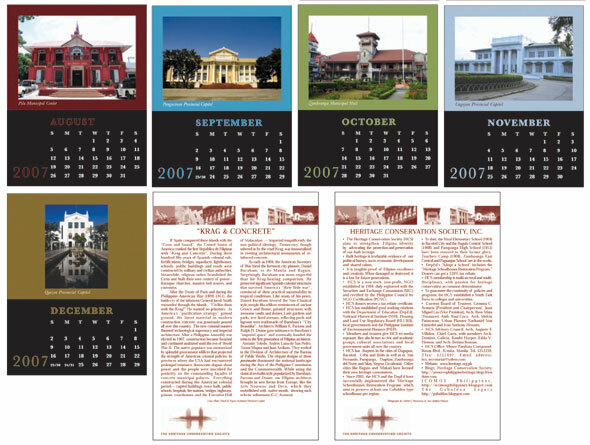 No sooner was the Philippine Assembly formed after the elections of 1907, when Act No. 1801, authored by Assemblyman Isauro Gabaldon of Nueva Ecija, was approved and became widely known as GABALDON ACT . 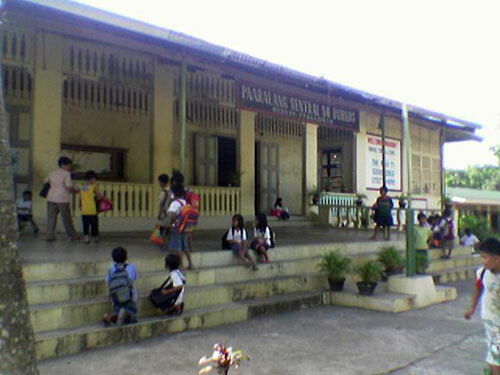 This appropriated Php 1 million between 1907 to 1915 for the "construction of schoolhouses of strong materials in barrios with guaranteed daily attendance of not less than sixty pupils…"
Funds for each school could not exceed Php 4 thousand unless the municipality contributed a counterpart sum of not less than fifty percent of the total amount granted to it by virtue of the Gabaldon Act. 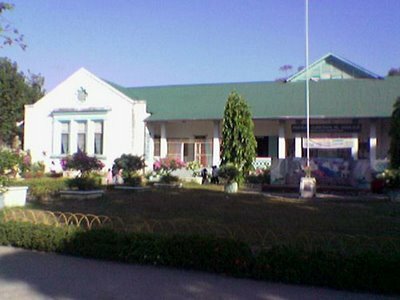 The municipality was authorized to appropriate its own funds, receive voluntary contributions in cash, kind, or in manual labor, for the construction of schoolhouses. 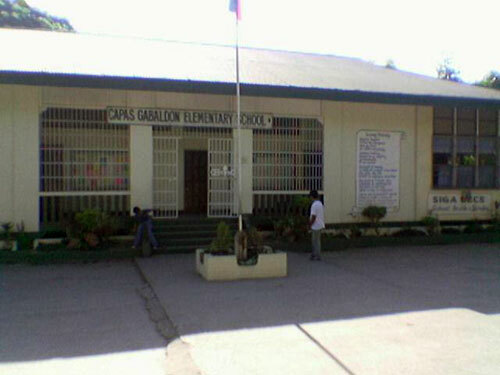 The Gabaldon Act stipulated that only on land owned by the municipality could schools be constructed. Because proposed sites had to be surveyed and registered with the Court of Land Registration, very few schools were erected in the first three years. 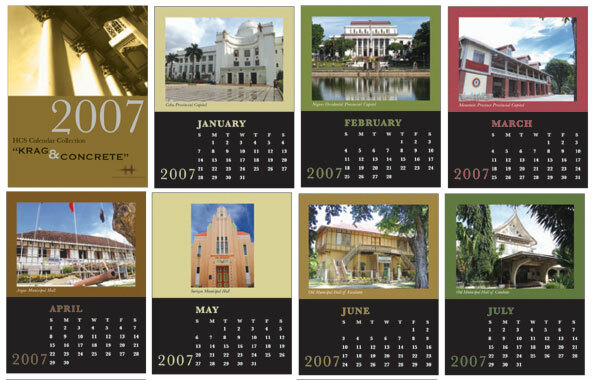 As separate planning for each school was burdensome, the Bureau of Public Works and Bureau of Education soon came up with standardized designs. These were known as "Gabaldon School Buildings" or simply "Gabaldon," long after the expiration of Act 1801. 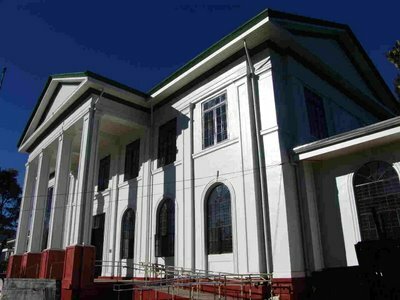 Baguio Central School, a public school built in 1923 got a facelift from the Department of Education and the Heritage Conservation Society (HCS). 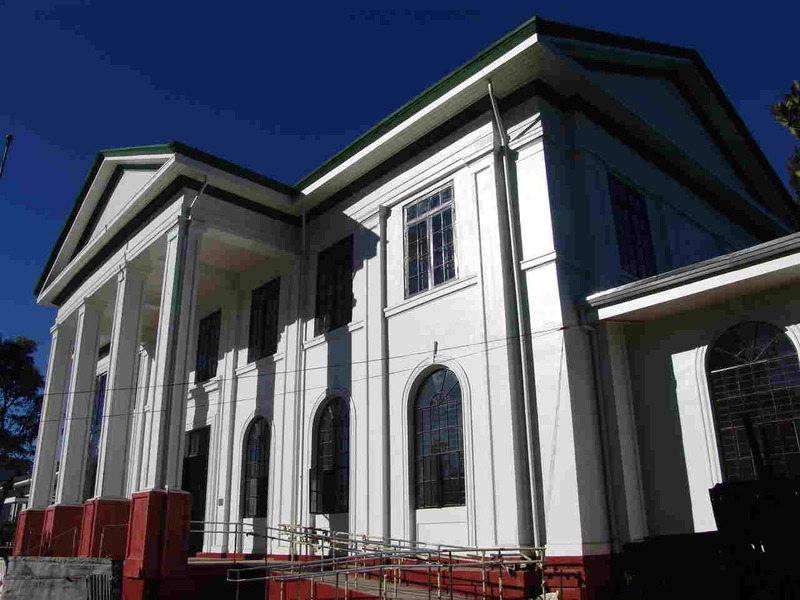 Baguio Central School is the second heritage school renovated under the Heritage Schoolhouse Program of the Department. It is under the supervision of the Physical Facilities and Schools Engineering Division headed by Engineer Oliver Hernandez. 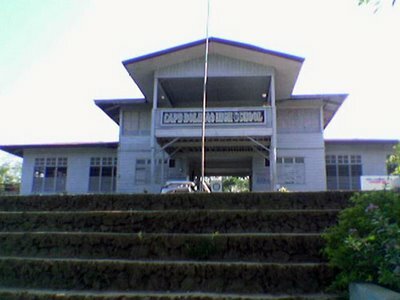 The first 25 students of Baguio Central School were in one room of the house of Ibaloi herdsman Mateo Cariño, one of the founding fathers of Baguio. Then the school moved in 1901 to another house where the present public market stands. It expanded into an industrial school where American teachers taught livelihood trades. Then the school moved to a two-classroom building, with a dormitory and a mess- hall kitchen. The school transferred to its present site with 11 classrooms, constructed of concrete and Baguio pine. 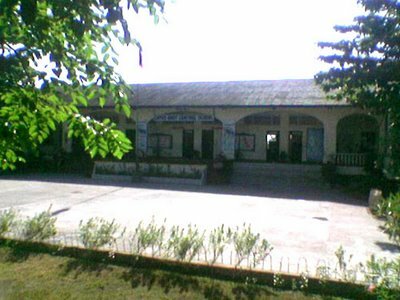 The school was destroyed during World War II but was rebuilt in 1949. Although it has been in use since then, it fell victim to poor maintenance until its renovation in 2004. Total rehabilitation was completed in January 2005. 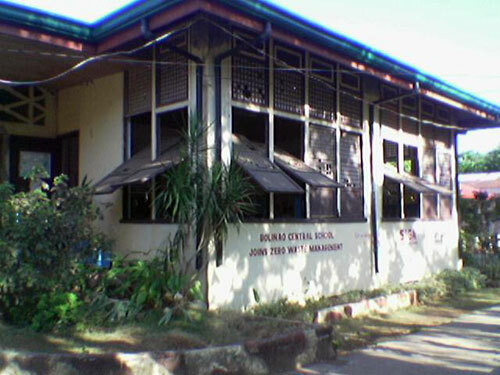 Baguio Central School now boasts of administrative offices, additional classrooms, computer room and a large library. 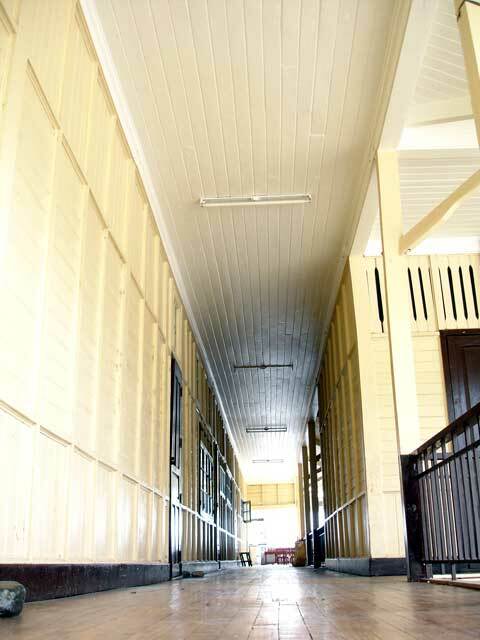 The first restored heritage school building is the Rizal Elementary School in Bacolod City. 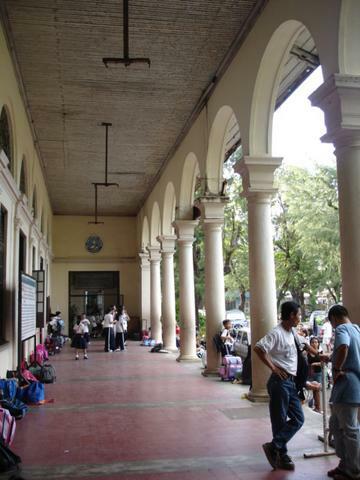 Among the structures identified by DepED as heritage landmark sites that need to be restored soon are Pampanga Central School; Legarda Elementary School; and the Teacher’s Camp, Baguio City. A master plan has been drafted for the renovation of the Teacher’s Camp which was created by the Bureau of Instruction in 1908. 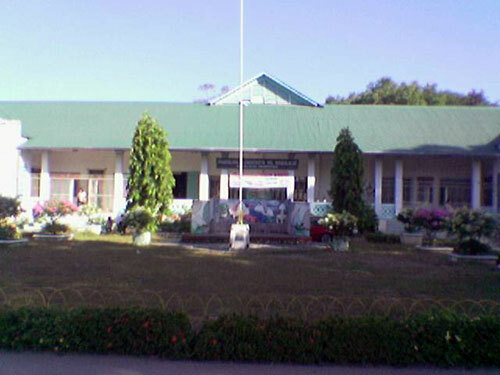 Teacher’s Camp serves as the summer venue for educators to meet, to study and to develop the education workforce. 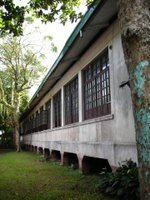 The restoration and adaptive re-use program for Teacher’s Camp is in preparation for its centennial anniversary in 2008. 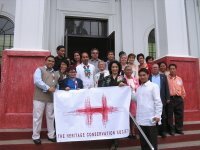 A PIONEERING partnership by the Department of Education (DepEd) and the Heritage Conservation Society (HCS) has been implementing the Heritage School Building Restoration Program. Originally conceptualized by former Education Secretary Armand Fabella and later by his successor, Brother Andrew Gonzalez, the program is now being put into motion by Education Secretary Edilberto de Jesus and Undersecretary Juan Miguel Luz. 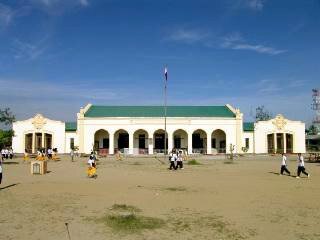 DepEd and HCS will identify and restore one heritage schoolhouse in each region of the country. HCS will then organize a consulting team to provide the restoration and technical expertise and oversee the restoration together with DepEd engineers. 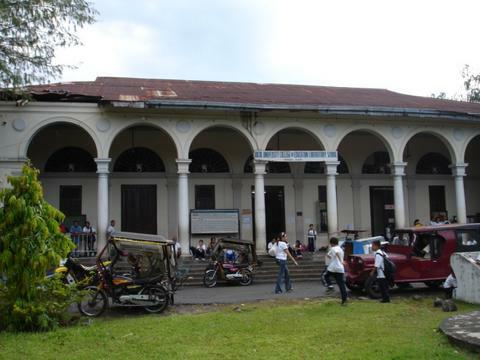 The first to be completed is the historic Rizal Elementary School in Bacolod. 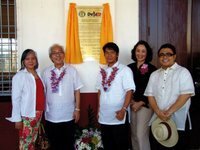 The renovated structure was inaugurated last Saturday, June 19, the birthday of the national hero Jose Rizal. 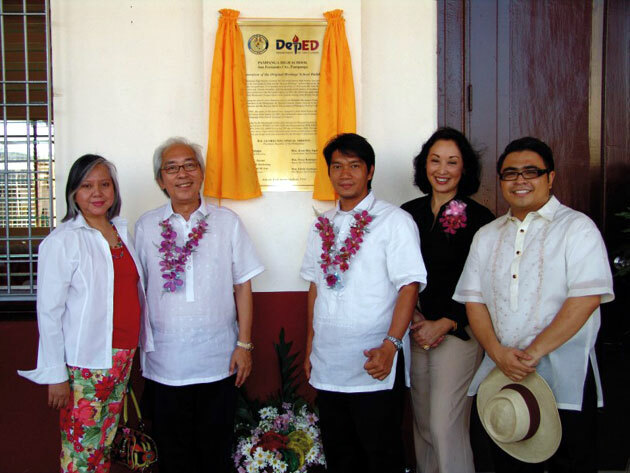 The program restored the Rizal Elementary School building to as close as it could get to the original state. Set back from the street by an elegant tree-shaded plaza, the two-story building was typical of those constructed during the era. However, insensitive remodeling over the years altered the interior of the 1907 building. Finally it was abandoned and left to deteriorate. Its original construction of wood supported by a concrete base survives. 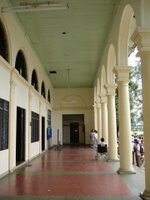 A verandah wraps around the ground floor and an old acacia tree shades its open second story. Large sliding kapis windows above ventanillas that reach to the floor open up large sections of wall to the outdoors. 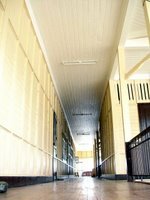 To maximize the interior airflow, interior partitions have rows of pierced wooden fretwork (calado) panels that meet the high ceiling, allowing air to freely circulate within the building. 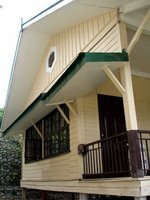 Its high-pitched, galvanized-iron roofing sweeps way past windows and walls with a generous overhang that shades the building and keeps rain away. Attuned to the tropics, the building is breezy and cool. Being inside the restored building today proves that old-style tropical architecture is still the best for our climate. Mature shade trees cool the breeze that once again flows through the large windows. 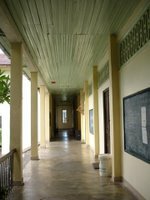 The restored building shows that instead of being rendered obsolete, old structures can still be recycled for modern academic uses. The ground floor of the newly restored building will house a state-of-the art computer laboratory, a music room, and administrative offices. The first-rate library that Rizal Elementary School deserves will occupy the entire second floor. The rationale behind the program is to make history come alive for teachers and students by recycling historic structures not as ivory-tower museums but as classrooms and laboratories for everyday use. The program projects heritage as touching all aspects of daily life, not as an irrelevant, elitist notion as the common misconception has it. Now that teachers and students will once again use the heritage building, the history of the Rizal Elementary School and the DepEd comes back to life, making the public aware of the heritage of the school and of the DepEd's legacy of nation-building through literacy. 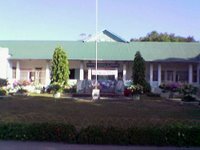 Originally founded in 1901 as the Instituto de Rizal, the school was renamed the Rizal Institute in 1903 when the American Thomasite teachers arrived in Bacolod. When it transferred to the present building in 1907, it became Bacolod High School until 1924, when it changed name to the Occidental Negros High School. It was converted into Bacolod West Elementary School in 1932, and was renamed Rizal Elementary School in 1959. The tradition of mass education in the Philippines started in 1901 when 1,074 American teachers sailed to our shores aboard the transport ships Thomas and Sheridan. Since the majority of them arrived on the Thomas, they were called the Thomasites. The Thomasites quickly fanned all over the country, setting up schools in far-flung localities where no school facilities existed. Representative Isauro Gabaldon authored Act 1801 of the National Assembly, which allocated P1 million for the construction of elementary schools all over the country. The buildings are generically called Gabaldon Schoolhouses. Yale graduate William Parsons, the consulting architect of the Bureau of Public Works from 1905-1914, prepared a set of standard designs for one-story buildings that were slightly elevated above ground, with classrooms along one side of an open gallery. Nipa roofs recalled the bahay kubo and so did the swing-out windows with kapis panels. 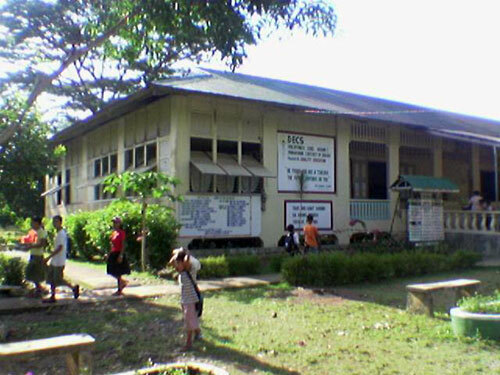 To celebrate the DepEd's century of existence, the program will restore different types of school buildings typical of the American colonial era when the public-education program in the Philippines was a high government priority. Scheduled for completion in October is Baguio Central School. Heritage studies are not formally offered in most universities. To introduce heritage to the university curriculum, the HCS is coordinating teams of history, engineering and architecture students from Manila and Baguio universities to document the heritage structures in Teachers Camp in Baguio. The student involvement will lead to the preparation of architectural plans by conservation professionals for most of the Teachers Camp structures. By restoring classrooms, the DepEd drives home the lesson that patrimony lives and continues to be relevant to our lives. Classes in heritage classrooms provide experiential learning on patrimony with a stronger impact than textbook instruction. THESE buildings are called the Gabaldon. Three, perhaps more, generations of Filipinos learned the Three Rs (reading, ’riting and ’rithmetic) in what are now regarded as the “Parthenon” of the golden years of Philippine public education system. The structures count by the thousands and are spread out all over the archipelago, with some towns or cities having two or more. 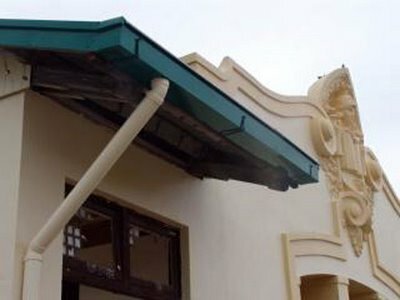 Almost a century since Assemblyman Isauro Gabaldon of Nueva Ecija in 1907 authored Act 1801 that set aside P1 million for their construction, the buildings—many of them run down by time, the elements, looting and neglect—are enjoying a restoration boom with a strong thrust for conserving the original, functional design. Yale graduate William Parsons, the consulting architect of the Bureau of Public Works from 1905 to 1914, designed the school buildings that were later named after Assemblyman Gabaldon. The Department of Education and the Heritage Conservation Society (HCS) are leading efforts through the heritage school building restoration program. “Pioneering” is how architect Augusto Villalon of the HCS calls the partnership. The idea, Villalon said in a recent column in the Inquirer, came from former Education Secretary Armand Fabella, and was pushed by his successors, the late Br. Andrew Gonzalez FSC and Edilberto de Jesus, as well as Undersecretary Juan Miguel Luz. 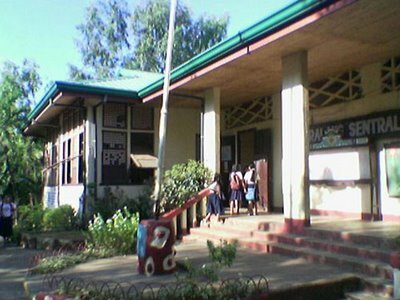 The program has completed the restoration of the Rizal Elementary School in Bacolod City, the Pampanga High School in the City of San Fernando in Pampanga, and the Baguio Central School in Baguio City, according to HCS member Ivan Anthony Henares. 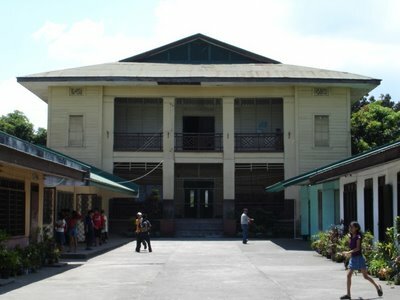 Up for restoration are the West Central Elementary School and its adjacent home economics building in Dagupan City, said Henares, who has created a web log or blog (gabaldon.blogspot.com) to link individuals, groups, institutions and donors to the effort. 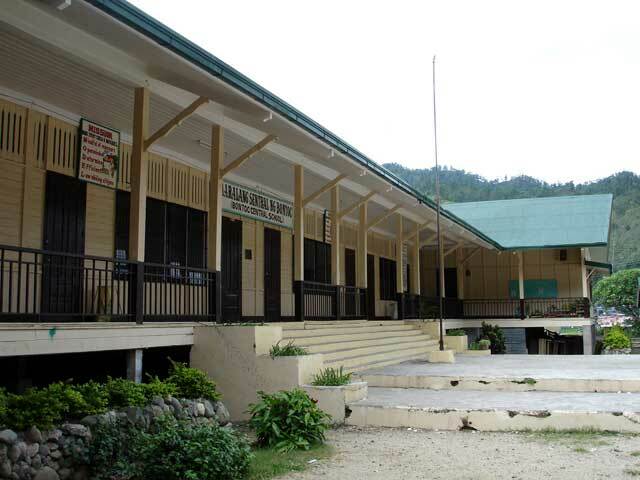 “The sheer number of Gabaldon schools all over the country and the lack of funds to restore these buildings would not make it possible to include all in the program,” he said. The buildings are “an inherent part of our country’s heritage resources,” he said. The project has the support of the locals. In Naga City, Councilor Lourdes Asence has authored a proposed ordinance that seeks to create a task force for the preservation and restoration of all historical structures, including six Gabaldon buildings in that city and in Camarines Sur. 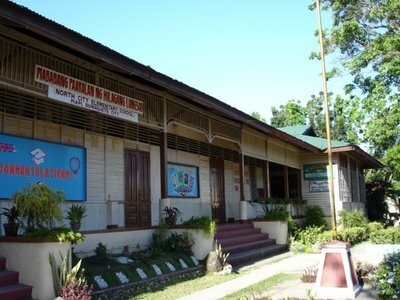 In Bohol, the provincial government spent P2.5 million in 2004 to repair some of its Gabaldon buildings. 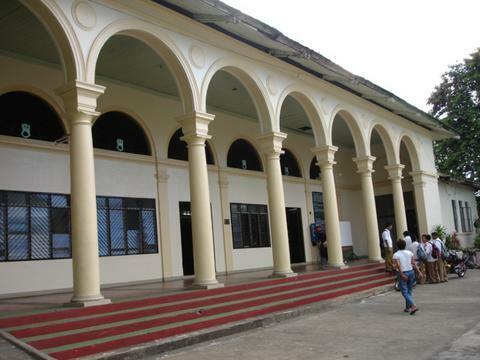 In their respective websites, historians in Infanta, Quezon, and in Leganes, Iloilo, have cited the history of their towns’ Gabaldon buildings and their impact on the people’s education. Some have indeed etched their place in history. For instance, the Gabaldon building in Dagupan became a temporary residence of American Gen. Douglas MacArthur during World War II, according to Carmen Prieto, chair of the city’s heritage commission. Others served as hospitals, town halls or evacuation centers in times of war and calamities. 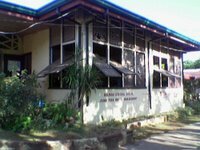 More importantly, it was in the rooms, libraries and wide grounds of the Gabaldon buildings that American and Filipino educators helped unlock the potentials of students, many of them poor. 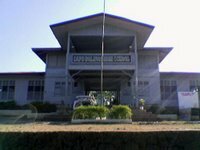 The Pampanga High School, for one, nurtured many of the country’s leaders like the late President Diosdado Macapagal (Class 1929). But perhaps one of the most poignant memories of the Gabaldon and a vivid description of the edifice comes from one who passed through its halls. Former Quezon Board Member Frumencio “Sonny” Pulgar, in his website, said that as a student, he was a habitué of the “Gusaling Gabaldon” or “Bagong Iskul,” the elementary school in his hometown of Calauag. “For me, Gabaldon was the biggest edifice I had ever seen and played in,” he said. “True, it is not a multistory structure; in fact, it’s a mere one-story affair, but I looked at it with awe. Its ceiling was high, about five meters. I thought giants walked through the corridors of Gabaldon. It had a long five-tread flight of stairs leading to its elevated portico, which we used as stage on special occasions,” he said. The Gabaldon’s center rooms were divided by a collapsible wooden partition that could be folded and converted into a pavilion, he said. 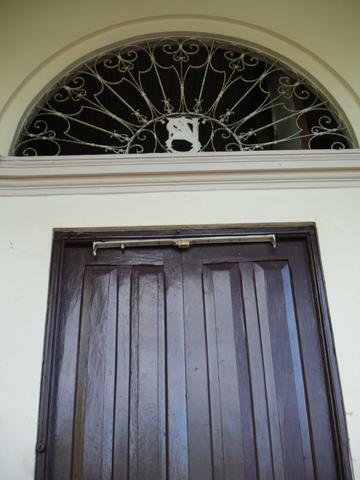 “Gabaldon’s windows were huge … The windows were sashed and made of latticed capiz-tagkawayan. Its façade had those Romanesque Doric-like pillars I’d seen only in pictures like the Parthenon,” Pulgar said. “Its rooms were big and wide, with lauan floors. 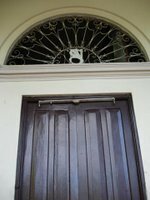 Its doors were imposing and made from thick and heavy narra. It had a cavernous silong (basement)—home of the kabag (bats), ahas tulog (snakes), alupihan (centipede) and giant rats. Though it stank in there, we used it as (a) hiding place whenever we were late in flag rites,” he said. The Gabaldon buildings are “attuned to the tropics,” Villalon noted. “The building is breezy and cool. Being inside the restored building today proves that old-style tropical architecture is still the best for our climate,” he said. There’s a practical sense to ongoing, albeit slow, efforts. “Instead of being rendered obsolete, old structures can still be recycled for modern academic uses,” Villalon said. “By restoring classrooms, the DepEd drives home the lesson that patrimony lives and continues to be relevant to our lives. Classes in heritage classrooms provide experiential learning on patrimony with a stronger impact than textbook instruction,” he said. After that anxious wait, the restoration of the Pampanga High School main building, a Gabaldon schoolhouse built in the early 1930s, is finally complete. As always, members of the Heritage Conservation Society trooped to the inauguration and turnover ceremonies. And since this time around, the event was in my own turf, I was the designated driver... hehe! In our group was HCS president Gemma Cruz-Araneta, restoration architects Toti Villalon and Melvin Patawaran, and Carmen Prieto of the Dagupan Heritage Foundation. The Gabaldon schoolhouse can be found in almost every city and municipality in the country. 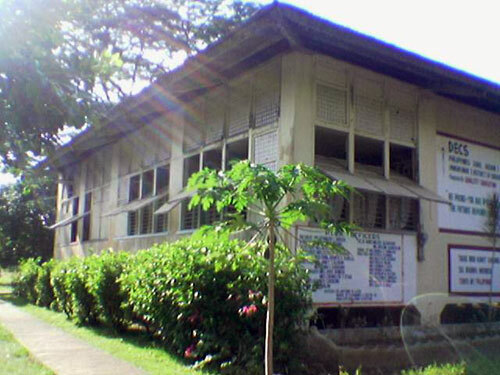 From the time Rep. Isauro Gabaldon authored Act 1801 alloting P1 million for the construction of schools all over the country, these heritage schools were built all over the country up to the beginning of the Second World War. But earlier American-period schoolhouses are also considered part of this genre of built heritage resources. 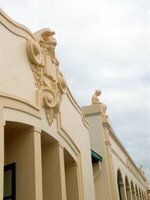 Each structure followed one of several standard designs prepared by architect William E. Parsons. These school buildings became the foundations of a national educational system that gave every Filipino child the chance to acquire a formal education. They are testaments to the early efforts of our leaders to raise the consciousness of the youth, the future leaders of our nation. Gabaldon schoolhouses thus form an important part of the architectural heritage of the Philippines. 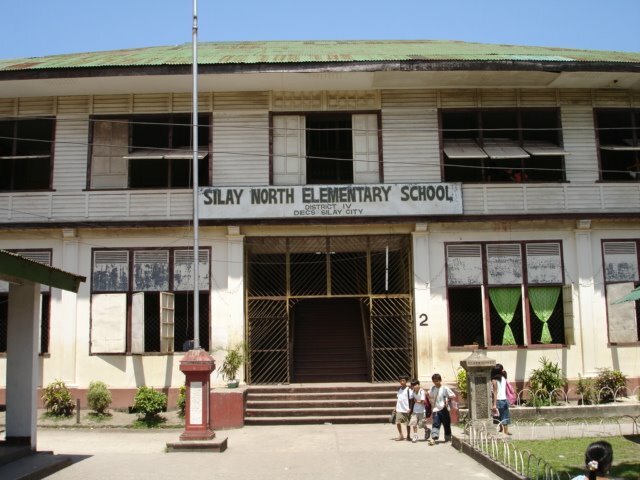 Realizing the importance of these buildings, the Department of Education approved the proposal of the Heritage Conservation Society to restore several of these heritage schoolhouses as a legacy to future generations of Filipino school children who will study under their historic halls. To date, restoration on three buildings have already been completed namely the Rizal Elementary School in Bacolod City, the Baguio Central School, and the Pampanga High School in the City of San Fernando, Pampanga. More buildings are up for restoration as well under the DepEd-HCS Heritage Schoolhouse Restoration Project. 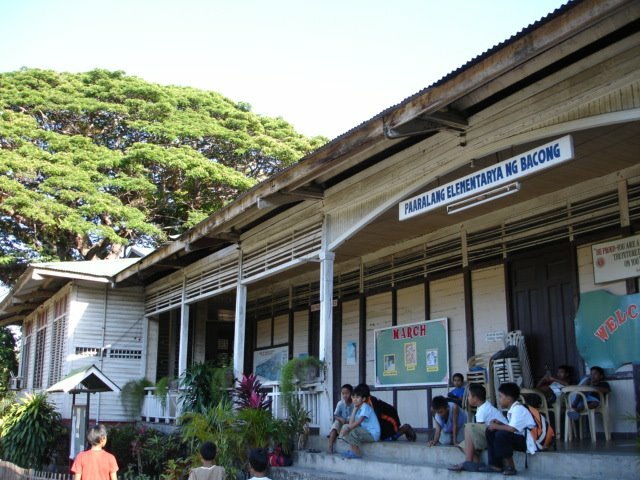 However, due to the sheer number of Gabaldon schools all over the country and the lack of funds to restore these buildings, not all can be included in the program. This blog was thus created to bring to public attention other fine examples of these schoolhouses in the hope that generous donors, individuals or institutions would sponsor their restoration. We thus invite everyone to send us photos and articles of Gabaldon schoolhouses in their own localities for inclusion in this blog.